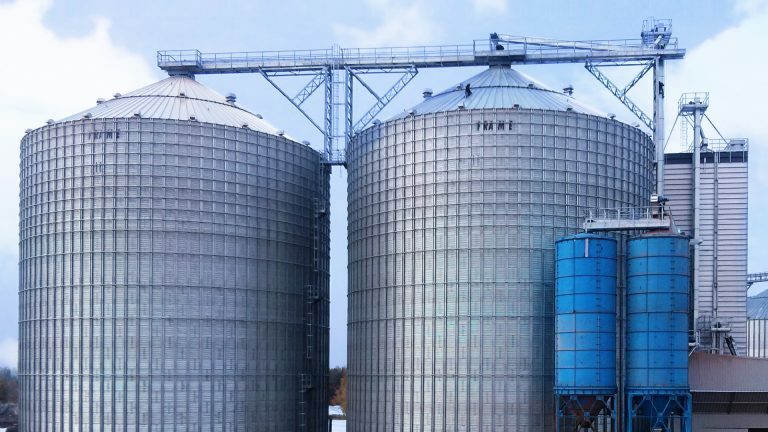 To complete the silo project, FRAME manufacture one of the widest ranges of vertical, & roof access ladders, together with a variety safety platforms, catwalks, support towers etc. 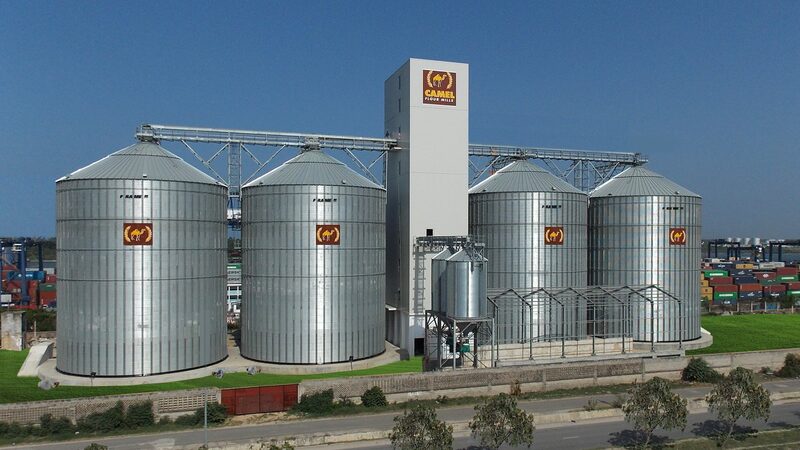 to suit the complete range FP & FC range of silos to meet the requirements of all applications. 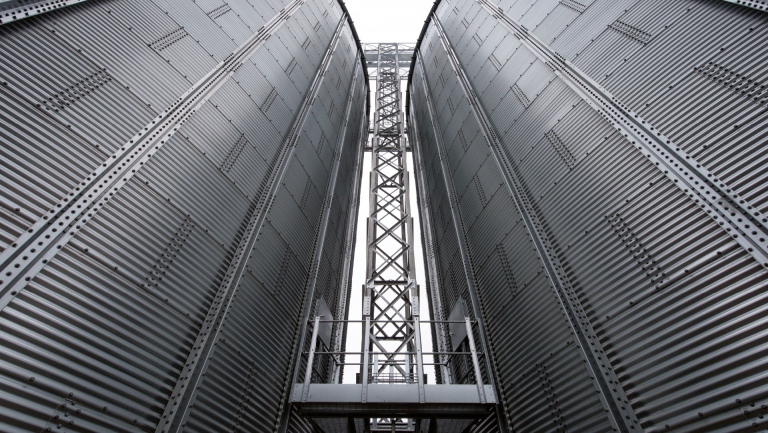 Providing access to the sidewall door from silo base level, the step is manufactured from galvanised steel & has a non-slip surface. 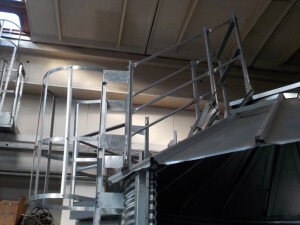 With welded rungs & a hot dipped galvanised finish, the FRAME vertical ladders designed to the latest European safety standards & supplied from zero level to eaves height, the safety cage is fitted from a height of approximately 2300mm above zero level. 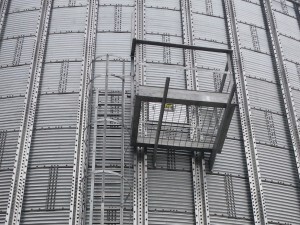 Intermediate rest platforms are included with vertical ladders, to comply with standard European safety regulations at nominal 9000mm intervals, (6000mm Germany). 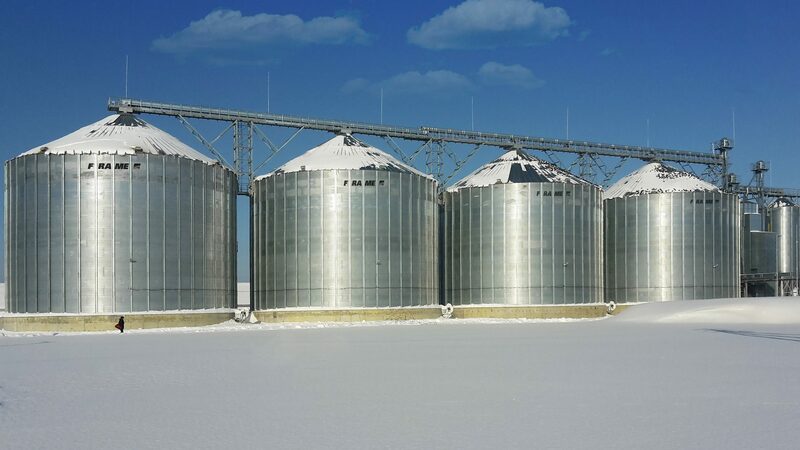 Note, internal vertical ladders are offered for the full range of FP & FC silos, although (for safety reasons,) we do not recommend them. 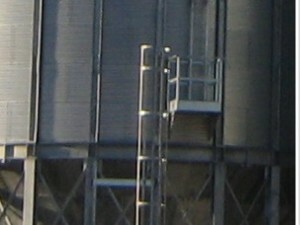 connection when accessing the roof ladder on the silo when using the exterior vertical ladder, using a platform at the eaves, an example of the FP 05 is shown here. The front landing is required when using the exterior vertical ladder & either of the roof ladders. 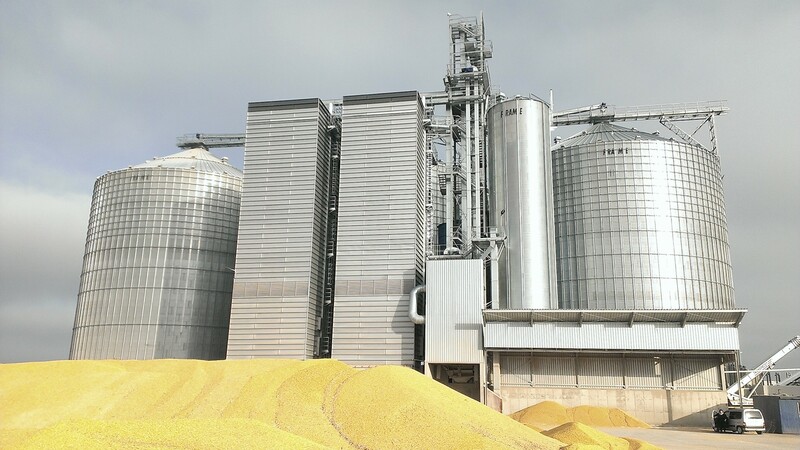 It provides a safe closed connection when accessing the roof ladder of the silo. 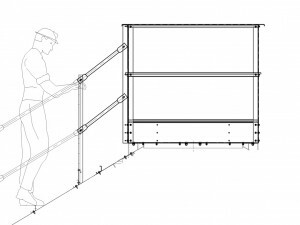 stairway, incorporating double handrails, formed steps with a nonslip surface & the necessary supports, connections to provide a direct connection to the catwalk. Where access around the centre cap is required we recommend the use of the additional handrail. 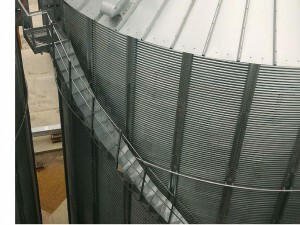 Normally used on larger silos, fitted around the circumference of the silo cylinder, the galvanised spiral access ladder provides easier access to the eaves level, an eaves platform with safety handrails is included. 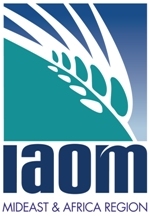 To provide access to the eaves hatch, or the high level sensor,when fitted, FRAME offer ladder incorporating a safety cage & an access platform positioned below the eaves level. 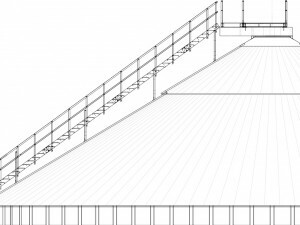 Spiral stairway with eave landing platform 1000×1000 mm. 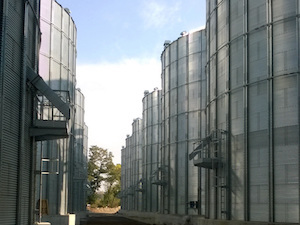 Providing access to the silo eave level with a rest platform for hatch inspection. 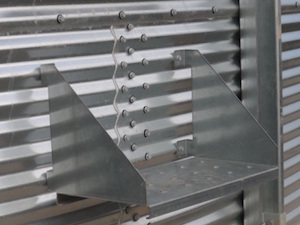 Steps are manufactured from galvanized steel & has a non-slip surface. 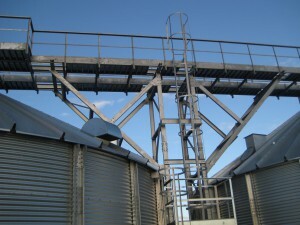 Particularly designed for larger silos, FRAME can offer a second sidewall access door, normally positioned at the level of the angle of repose; to access the door, an external ladder with safety cage together with an external platform with necessary safety handrails as well as an internal ladder, all fully galvanised, is available. 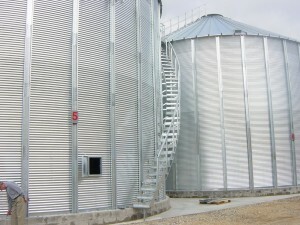 Designed for FC hopper silos, provides access to the optional sidewall door. To provide access to the eaves hatch, or the high level sensor, when fitted, FRAME offer a ladder incorporating a safety cage & an access platform positioned below the eaves level. 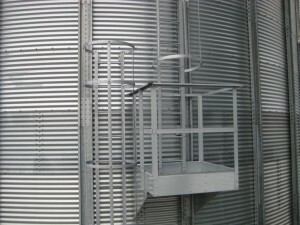 Where a gravity sidewall discharge slide is required, FRAME also supply a vertical ladder & access platform.